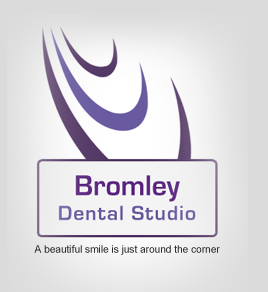 At Bromley Dental Studio, our general dentistry services cover all general aspects of your dental care. Our personalized approach to dental care is geared to providing you with a superior experience that is oriented towards your exact requirements and budget. We believe in preventative dental care and are committed to diagnosing problems early, treating them and preventing further complications in the future. Our comprehensive general dentistry services also include the following dental care treatments. Root canal treatment is used to cure the damaged inner pulp (soft core of the tooth) of your teeth. With root canal treatment, dentists have eliminated the need for tooth extraction due to diseased dental pulp. Root canal involves cleaning out infectious material from the tooth's inner pulp. This area is then reshaped and the root canals are filled with a neutral, inert material. The tooth is then capped with a crown. This treatment saves the remaining natural tooth. You can learn more about Root Canal treatments here. Dental composite bonding is a technique used to preserve a chipped or decayed tooth into a more aesthetically pleasing tooth. A tooth-coloured composite material is applied on the tooth to make it look like a healthy tooth. This technique is also used to fill small gaps and whiten dark spots on the teeth. Even a discoloured tooth can be restored to its original shade using composite bonding. Dental bonding is a cheaper alternative to veneers. Porcelain fillings can be used when your teeth are severely affected by cavities. Porcelain, a ceramic material, is used to fill the cavity. Dentists can also replace old metal fillings with composite porcelain material. White composite porcelain has a natural colour that looks much better than a metal filling.